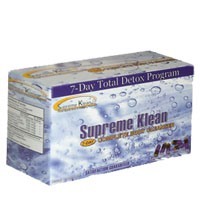 Supreme Klean 7-Day Total Cleanser was designed for those who want to cleanse their blood, urine, and saliva. This product will cleanse your system in only 7 days! The detox program includes a healthy, toxin-free diet, daily permanent cleansing capsules and proper water intake. This product is NOT a mask! It safely removes harmful toxins from your body, leaving you clean, healthy, toxin-free, and most importantly, feeling good. 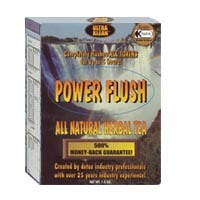 Power Flush Detox Tea was created by a group of detox industry experts with decades of experience. This tea has a success rate of over 99%. Power Flush Detox Tea is made from the most effective herbs, historically proven to remove toxins from the body. Our herbs are of such impeccable quality and cleanliness that they have been certified "Kosher & Parve". You will not find a more effective cleansing tea anywhere at any price. STINGER Daily Detox is recommended as a daily supplement. 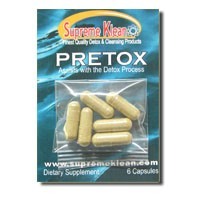 Use as a preparation to pass your drug test and daily detox maintenance. Each bottle contains 30 tablets, a 1-month supply. STINGER Daily Detox is the indispensable helper that assists with the detoxifying process and helps to clean your urinary system prior to a urine drug test. These capsules are designed to be used in conjunction with Ultra Klean Detox Drinks, Omni Cleansing Detox Liquid, The Stuff Chewable, or Quick Flush Capsules to aid in detoxification and should not be used alone to pass a drug test. 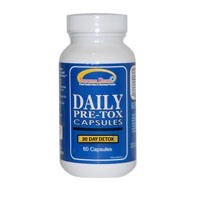 The Daily Pretox cleansing capsules are formulated for daily use and are gentle yet effective. Although STINGER Daily Detox will help you get a head start on any emergency detoxification regimen, it is not a replacement for other detox products, but an effective compliment to them. Intended for daily use, this product enhances the effectiveness of one of our other great detox products. Also great for those interested in a maintenance detox program or daily cleansing procedures and a healthy way of life! These capsules are to be taken for as long as possilbe on days prior to the urine drug test. They help loosen and free all deeply trapped toxins (such as THC in fat tissue). Reccomended if you are a medium to chronic user of illicit substances or if you are just overweight (200+lbs). Use every day prior to the test in order to boost the effectiveness of the products that you take the of the test.